Venezuelan President Nicolas Maduro announced his proposal for the country’s federal budget for 2017 on October 14 — indicating that a staggering 73.6% would be dedicated toward social investment. It comes in a context of an economic crisis, including shortages of some goods. 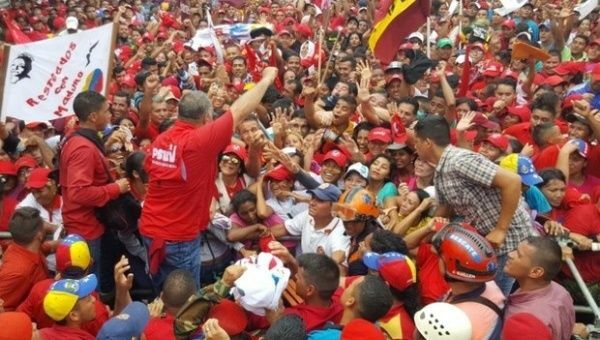 In the days leading up to the announcement, the governing Untied Socialist Party of Venezuela (PSUV) held street assemblies with thousands of Venezuelans to discuss and debate the proposed budget. “In a democracy like ours, the budget is debated by the people,” Maduro said on October 12. 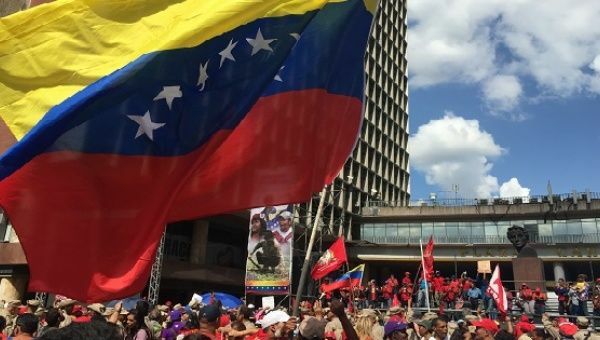 Thousands marched in Venezuela’s capital of Caracas on October 12 to commemorate the Day of Indigenous Resistance — previously known as “Colombus Day”. The march also sought to counter opposition mobilisations in favour of the recall referendum against socialist President Nicolas Maduro. Pro-revolution march on August 30. Photo via TeleSUR. The statement below was released by the Philippines-Venezuela Solidarity Network (PhilVenSol) on August 31. It comes after calls from Venezuela for international solidarity against new US-backed destabilisation against the elected government and revolutionary movement.